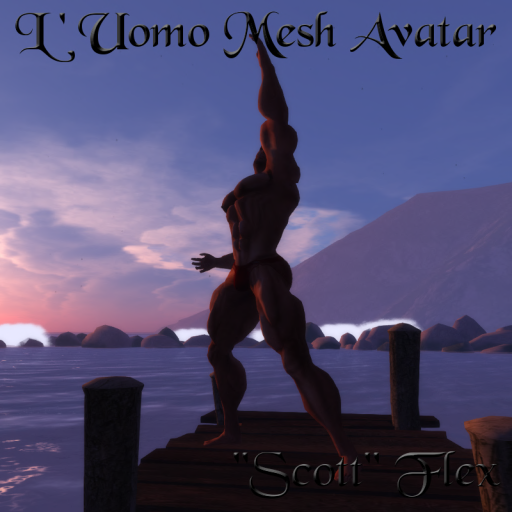 Miro Collas, the creator of L’Uomo – A Better Male Avatar is sponsoring the Faire again this year. Miro shares with us his reasons to relay, how he started building in Second Life and also news on the latest L’Uomo products. 1) This is not your first time sponsoring Fantasy Faire. Do you have personal reasons to support RFL? Do you want to share those with us? I think many of us have personal reasons, yes. I lost my mother, as well as a very close friend, to cancer. I don’t think much else needs to be said … I think many can relate through their own experiences. Anyway, I intend to be involved with RFL, through Fantasy Faire, again each year. 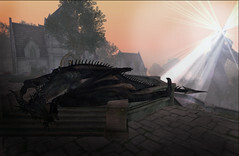 2) How did you begin building in Second Life? What inspires you to create? I don’t know where the inspiration comes from. I know I can’t make it happen – it just does. But I do try to do things that haven’t been done before, or at least to do them in different ways. Some things work very well, others flop badly. But that’s fine, even the disasters are part of the learning process. 3) What’s the latest news with L’Uomo, any new releases or projects you wish to share with us? Naturally, pics don’t show the flex; I did a video for the first release. 4) What calls you to fantasy? When was the first time you encountered the genre and realized you enjoyed it? I’ve loved fantasy and sci fi since I was a child. I devoured Arthur C Clarke, Asimov, Ursula K. Le Guin, John Wyndham and more, whose names I am blanking right now. I love the ability to imagine worlds beyond the possible, populated with beings who fit and respond to that world in plausible ways – and that it the essence of good story telling, I think: not just the fantasy world itself, but how the characters respond to it. 5) What are you looking forward to most this year? Thank you, Miro, for taking the time to chat with us. We’re happy to have you with us again!